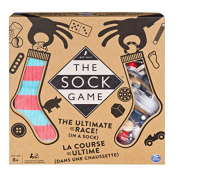 Sunday 21 Apr - Latest - Amazon (£19.99) currently have stock of The Sock Game. We constantly check for The Sock Game stock, so you don't have to. Receive email alerts when The Sock Game online stock is found.